This publication provides seaborne market prices of iron ore from 17 countries & market prices of imported iron ore at China's main ports. 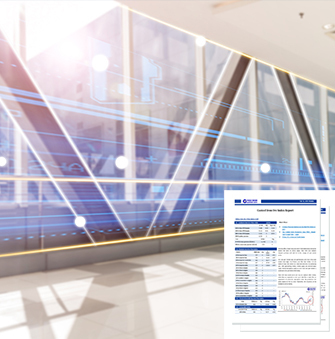 The price report is widely used among clients from Iran, India, Mongolia and Pakistan and some other countries for pricing reference and settlement. Besides, it is also a reference of tax accounting for China's Customs. Custeel Iron Ore Index Report (CSI) will help you track the latest iron ore indexes which are calculated based on transaction prices. 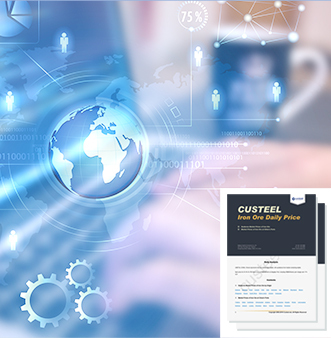 CSI has been published by Custeel since the year of 2011 and widely used in physical and financial markets. Now the index is widely applied in both physical and financial markets as the benchmark price for steelmakers and miners. Miners located in Australia, Iran, Mongolia and India take CSI as the pricing elements. Financial institute and trading platforms take CSI as benchmark for settlement or trading. 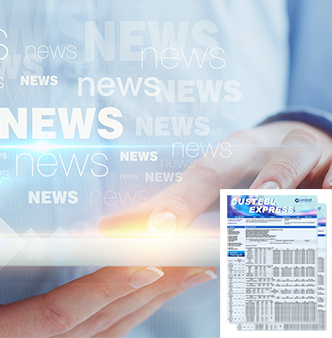 This publication provides real-time news, prices and analysis for iron ore, coal & coke, metal scrap, pig iron and steel markets as well as industry policies related to iron and steel market, China's macroeconomy news etc. A daily coverage on the whole industrial chain is to help you learn about what happens in the market. 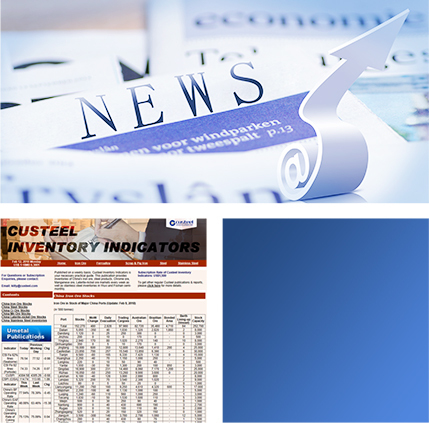 This publication provides inventories of China's iron ore, steel products, chrome ore, manganese ore, laterite-nickel ore markets on a weekly basis as well as stainless steel inventories in Wuxi and Foshan fortnightly. The data has been considered as a key indicator for trading reference and research. 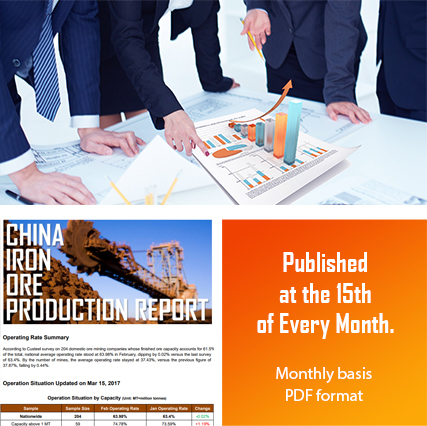 The report covers China's domestic iron ore monthly production and operating rate of mining companies. China's iron ore production data was published jointly by Custeel and Metallurgical Mines' Association of China (MMAC) in the beginning of 2016, with sample mining companies more than 500. Survey is also conducted on 297 China's domestic iron ore mining companies to track the operating rate. The report has attracted iron ore mining companies and research institutes' attention since published. 91 sample mills are involved in Chinese Steel Mills’ Electric Arc Furnace (EAF) Operating Rates Report, including electric steel capacity of 107.5 million tonnes, about 80% of China's total. Since the elimination of intermediate frequency furnace production, the use of EAF in China has increased obviously. 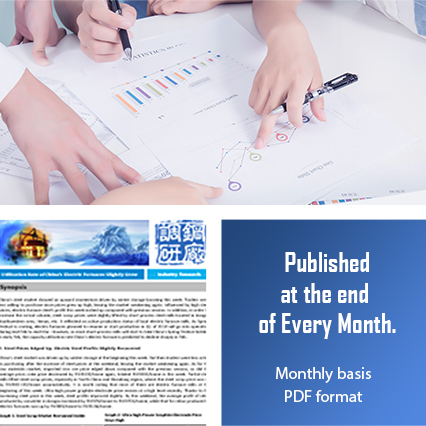 The report will help you track the EAF development in China. please take a free trial or subscribe to our service.